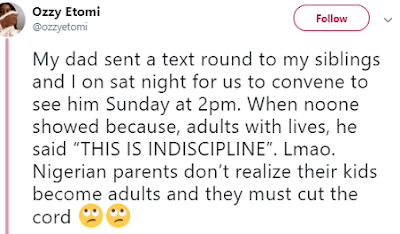 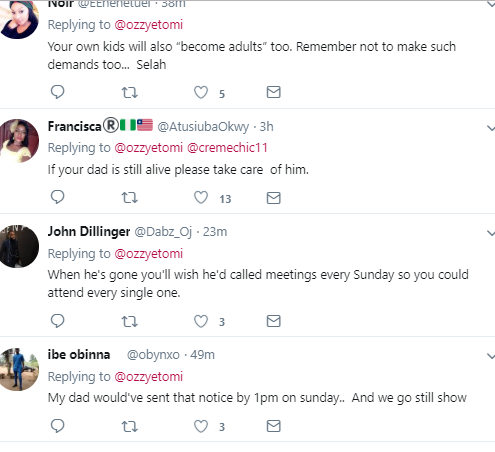 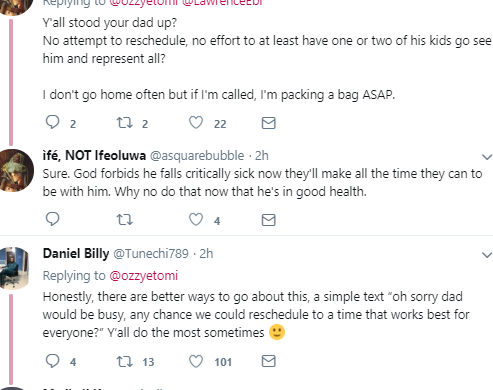 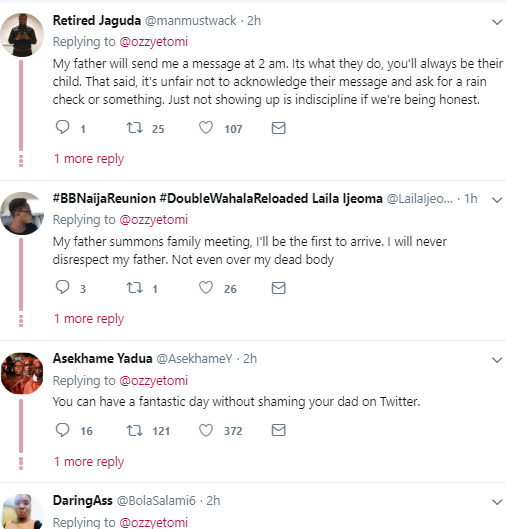 A twitter user who tried to shade Nigerian parents using her dad (tweet above) got more than what she bargained for. 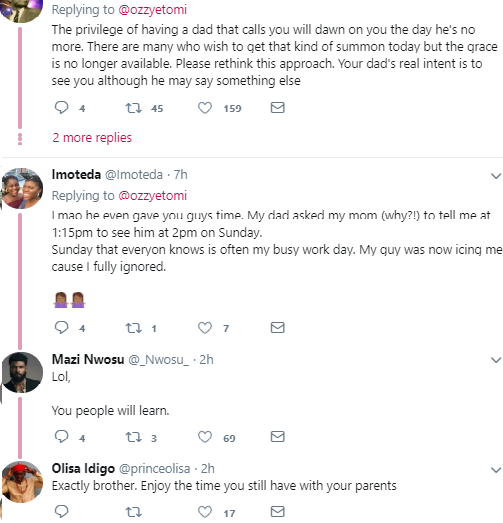 She shared the story of how her dad had called for a meeting on Sunday and how she and her siblings didn’t make it. Thinking they would support her, they lashed her instead.